Vol. 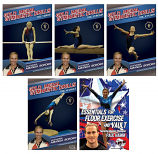 1 Are you looking for some fun and new ideas to teach your students and keep them active? In this video, Don Puckett presents a number of different activities that deal with various skills and fitness objectives. The games and activities taught and demonstrated are: Touch and Go, Five Passes, Everyone is It, Low Ball, Circle Stride Ball, Aerobic Numbers, Aerobic Scrabble, Line Tag, Cooperative High Fives, Fine Motor Circuit, Cooperative Tubes Relay and Cooperative Sheets. These activities will help maximize time, equipment and space and keep children active and moving. The video contains a pdf file to allow teachers to print out descriptions and rules of the games. All these activities can be modified and used with practically every grade level. Running time - 69 minutes. 2011. Vol. 2 Would you like to add some creative new ideas to your physical education program? This video, featuring Don Puckett, is an ideal resource for implementing several new fun-packed games and activities into your classes. The games and activities included are: Hook Up, Rock, Paper Scissors Challenge, Cone Tip, Cone Tip Softball, Quarterback Rescue, Ultimate Handball, Bowl, Shoot or Pass, Scoot and Shoot, Capture the Pin Soccer, Partner Tag, Smart Dice and Winner's Court. The video contains a pdf file to allow teachers to print out descriptions and rules of the games. 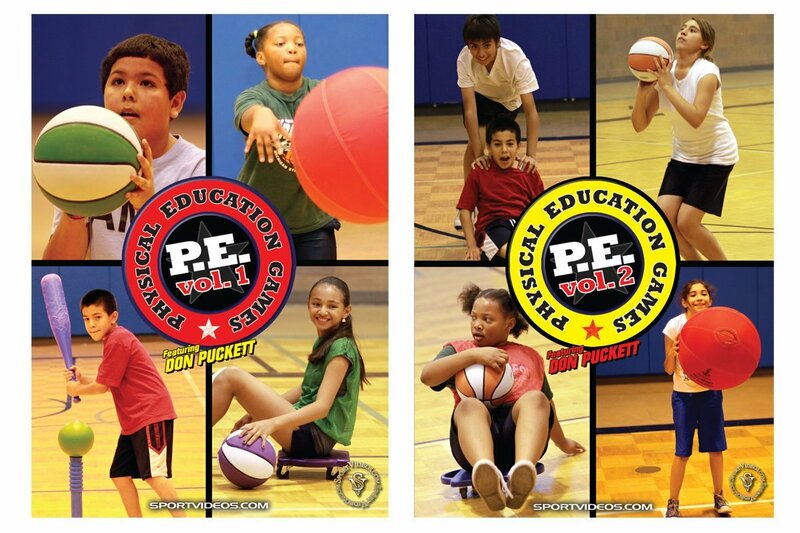 These games maximize participation and cooperation and can be easily be modified and incorporated into any physical education program. Running time - 88 minutes. 2011.